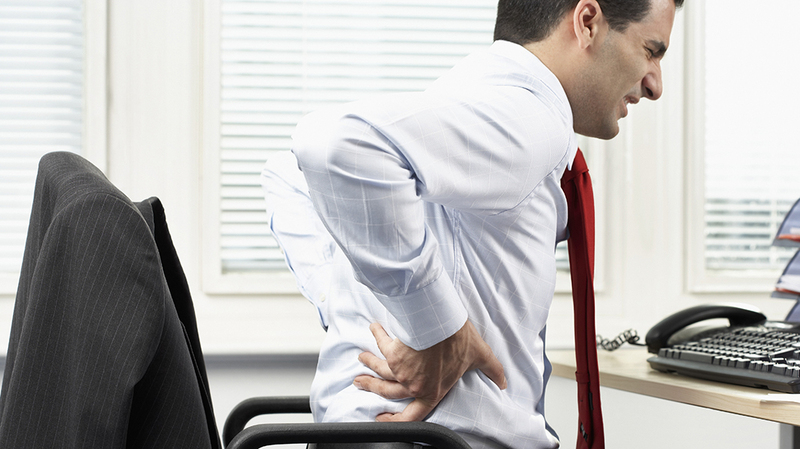 It is a well-known fact that having good posture directly relates to a healthy living style. When most people see poor posture, they affiliate it with bad habits. The truth is, posture is not only important to how you portray yourself, but it plays a key role in your health. Good posture allows us to do everyday activities like stand, walk, sit, and lie without causing a lot of strain on all of the bodies muscles and ligaments. Having correct posture will help your body adjust to movement and weight bearing activities without causing too much pain. Assist in keeping bones and joints properly supported so that our muscles are being correctly used. This helps decrease the wear and tear of the exterior of our joints which can be known to cause degenerative arthritis and joint pain. Greatly minimize the stress and probability of injury on the spinal joint ligaments. Help the body fight muscle fatigue by allowing it to use less energy and work much more efficiently. Stop muscle strain, back pain, muscular pain, and overuse disorders. Have your feet flat on the floor. If they do not reach the floor, use a footrest. Avoid crossing your legs. Make sure your ankles are ahead of your knees. Maintain a tiny space between the back of your knees and the front of your chair. The level of your knees should either be the same or lower than your hips. Use a back support, or if your chair has the option, adjust it so the backrest reinforces your lower and middle back. Keep your shoulders in a comfortable and relaxed position. Make sure your forearms are aligned with the ground. If you can, try to prevent sitting in the same fixed position for long amounts of time. Carry your weight as much on the balls of your feet as possible. Never lock your knees. Keep them slightly bent. This helps with circulation, too. Make sure your feet are about shoulder width apart from each other. Allow your arms to hang naturally and comfortable beside your body. Try to pull your shoulders far backwards. Stand straight and tall. Be aware of keeping your head as level as possible. This means you should avoid pushing your head forward, backwards, or to the sides. Your earlobes should also align with your shoulders. If you have to stand for long periods of time, take turns shifting your weight from your heels to your toes, and from one foot to another. Search for the perfect mattress for you. Most people recommend a firm mattress, however, soft mattresses can greatly decrease the likelihood of back pain. Your comfort is the top priority. Pillows are important to sleep with. They now make special pillows that are specifically designed for poor posture sleepers. If you are suffering from back pain, try sleeping on your side or back. Put a pillow between your legs if you are more comfortable sleeping on your side. If you are more comfortable sleeping on your back, put a pillow under your knees. Chiropractic Care can help with proper posture by recommending simply lifestyle changes, such as exercises intended to help build and re-build core postural muscles. They can help decrease the threat of injury by teaching you correct posture while performing your daily activities.